Fitness trackers are as much about style as they are about function. But stand in the store for any length of time, and all of these bands and watches start to look the same. So how do you know which one is a match for your workout routine (and your fashion sense)? Let’s compare two leading fitness trackers: the Fitbit Surge and the Microsoft Band 2. What we found: The Fitbit Surge and the Microsoft Band 2 cost roughly the same price, give or take a few cents, and track many of the same things (activity, sleep, heart rate and more). What you’ll learn: These two trackers are pretty evenly matched, but if you want the benefit of smartwatch-esque features, you’d be better off going for the Microsoft Band 2. Before you buy, decide which types of readings you want your device to be able to provide. Today’s trackers can offer details on various aspects of your day, including sleep quality and continuous heart rate. 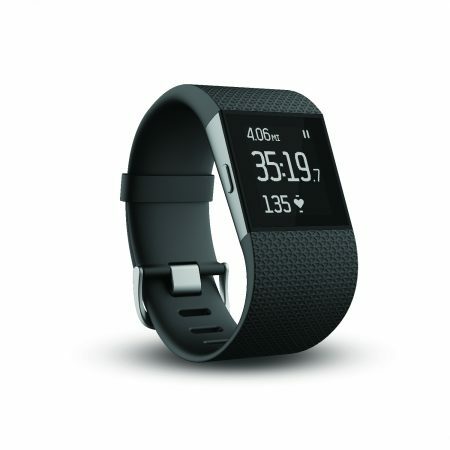 The Fitbit Surge is a self-proclaimed “ultimate fitness super watch” and is the most expensive product in the Fitbit activity product line. The Surge features what athletes look for in a high-tech watch: GPS tracking, heart rate monitoring, sleep analysis and all-day activity tracking (steps, distance, calories, active minutes, etc.). 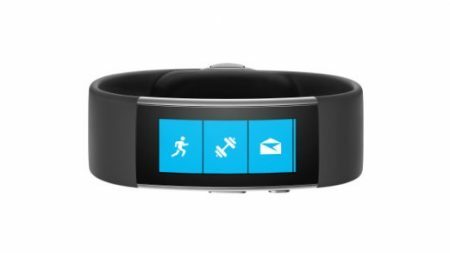 Similarly, the Microsoft Band 2 is a loaded fitness-tracking device. The Band 2 can track heart rate, calories burned, sleep quality and even specific activities like running and golfing. It also includes 11 different sensors for additional measurements (GPS, UV and a barometer, to name a few). Function is crucial, but so is form. Consider what each of these will look like on your wrist. Each is sold in three different sizes, but that’s about where the appearance similarities end. The Fitbit Surge is designed more like a watch. Its thick band comes in black, blue or tangerine, and it has a touch-screen monochrome LCD display and backlight for low-light visibility. The Microsoft Band 2 looks much more like a high-tech bracelet. Its sleek black design is accentuated by an AMOLED full-color curved display. Just like a smartphone or tablet, your new fitness assistant won’t maintain power unless you keep it charged. The Fitbit Surge has a lithium polymer battery with a battery life of up to seven days and a GPS battery life of up to 10 hours. The battery takes one to two hours to recharge. The Microsoft Band 2’s lithium polymer battery can last for 48 hours of normal use, but using GPS could affect this duration. The battery can be fully charged in an hour and a half. At one point, fitness wearables were only about fitness, but not anymore. Both of these devices do much more than count calories and track steps. In addition to its standard abilities, the Fitbit Surge offers call/text notifications as well as the ability to control songs from a mobile playlist. The water-resistant Surge can wirelessly sync stats to tablets, computers and over 150 iOS, Android and Windows smartphones via Bluetooth 4.0. The Microsoft Band 2, on the other hand, more closely positions itself toward the smartwatch end of the market. The device — which can be paired with a variety of iPhone, Android and Windows Phone models — provides email previews, calendar reminders, call alerts, text messages and social updates. Wearers can even send standard text replies, and Windows Phone 8.1 users can speak a reply by using Cortana (when their phone is within 30 feet). And there’s still more to this water-resistant band. The Band 2 measures UV exposure and can alert you when it’s time to apply sunscreen. It’ll also keep you apprised of your latest Facebook Messenger updates and allow you to pay for your daily cup of joe at Starbucks via your wrist. With such similar price points, the cost of these two trackers likely won’t play much of a role if you’re deciding between the two. Check for deals on Amazon, as the online marketplace has been known to offer discounts on these types of devices. Put these wearables side by side, and it’s clear the Microsoft Band 2 comes out on top. After all, you can wear it on a run, then bring it into Starbucks to pay for your post-workout caffeine boost. If you’re looking for fitness tracking plus the benefits of a smartwatch, go for the Microsoft Band 2. But if you’d rather leave the fanciest features to your smartphone, pick the Fitbit Surge. You’ll still get advanced activity tracking features from a trusted fitness brand. Fitbit Comparison: Which Fitbit Activity Tracker Is Best for You? From the Fitbit to the Jawbone: Which Activity Tracker is Right for You?